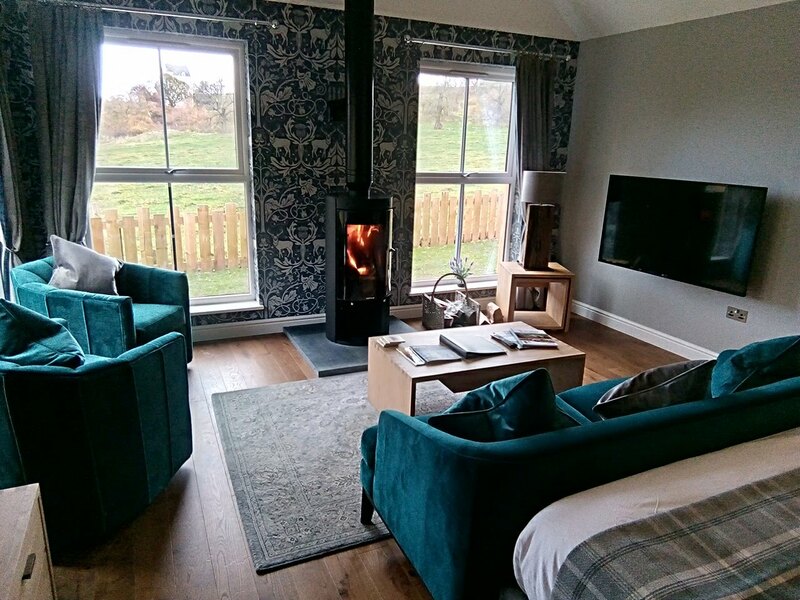 The Glenmore is one of our newer dog friendly suite’s here at Muckrach. The lodge accommodation is situated in the steading, opposite the hotel. 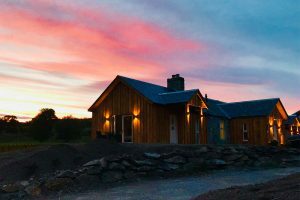 This accommodation is ideal if you want some freedom and flexibility to your stay, enjoy food and drinks in the hotel but also have the choice to prepare and cook your own meals in your lodge. 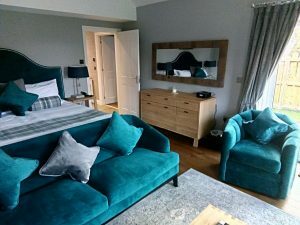 This suite is decorated with stunning teal and grey interiors, the room offers a superking / twin bed. A modern bathroom with a bath and walk in shower, a lounge area with a log burning stove which is perfect for cosy night’s in by the fire. Enjoy stunning scenic views from your room, including views of a Scottish castle.